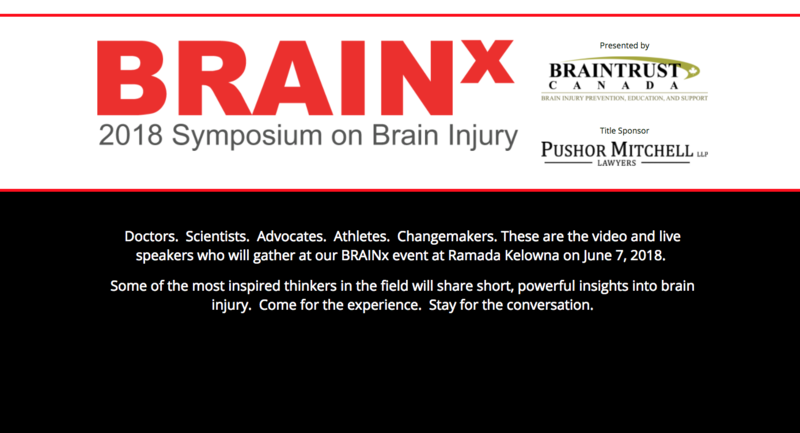 BRAINx will showcase speakers who will explore brain injury from multiple perspectives including youth and mental health, employment, homelessness, personal litigation, intimate partner violence, neuropsychology, prevention in the workplace, aboriginal considerations, and an inspiring story of survival. One of the presentations will be from Patti Flaherty sharing “Real Life Stories and their Human Value”. Date: June 7, 2018 at the Ramada Hotel Kelowna. Keynote speakers: Keith Primeau (NHL) and Kerry Goulet (EHL) who co-founded StopConcussions and helped author the book, Concussed, will share an honest discussion around Concussion and Hockey. Tickets: Early Bird Admission available until April 15 – $139 (General admission after is $179). .